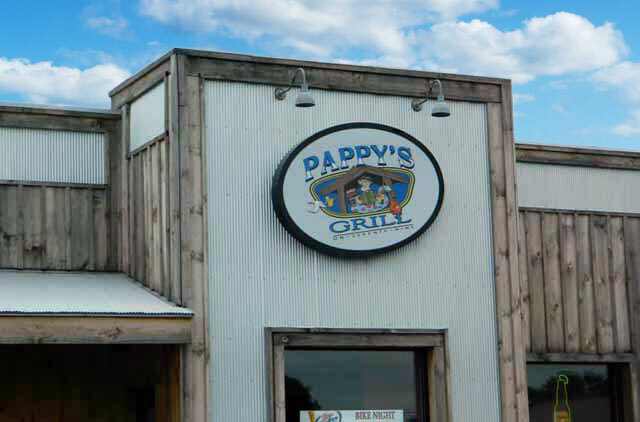 Pappy's Grill on 79 in Heath, Ohio is a Florida Keys getaway. Crab, shrimp, and oysters, share the menu with quesadillas, wings, Mahi fish tacos, grilled chicken, Pappy burgers, and exotic hand-tossed pizzas. Refresh with cold beer and island cocktails with the walls wide open to the evening breeze. WOW what a great place!!!! Great food.... Great staff. Being gluten intolerant, I was not hopeful that Pappy's would have anything I could eat. I decided to give it a shot and ask them, though. I am so glad I asked instead of writing them off after a quick glance at the menu. The hostess actually went to the chef and asked what would be available, and the chef said he could work around it. He came to the table and asked me what kind of things I liked. I ended up having a piece of blackened Mahi Mahi on top of the Key West salad. Oh, my goodness! He did an AMAZING job! The fish was perfectly prepared, and the salad was so good, that I almost licked the key lime dressing out of the bowl. Next time I'm in Heath, you'd better believe I'm going back!